Paul Carr and my jokes aside, the Crunchies is pretty much an unabashed love-fest. We even get along with our arch-competitors GigaOm and VentureBeat long enough to co-host the event. But our annual love for Apple remains mostly unrequited. We shower them with awards and praise, and they don’t even send so much as an intern to accept their monkey statues. In the past, we’ve filled the sad, awkward void with humor. 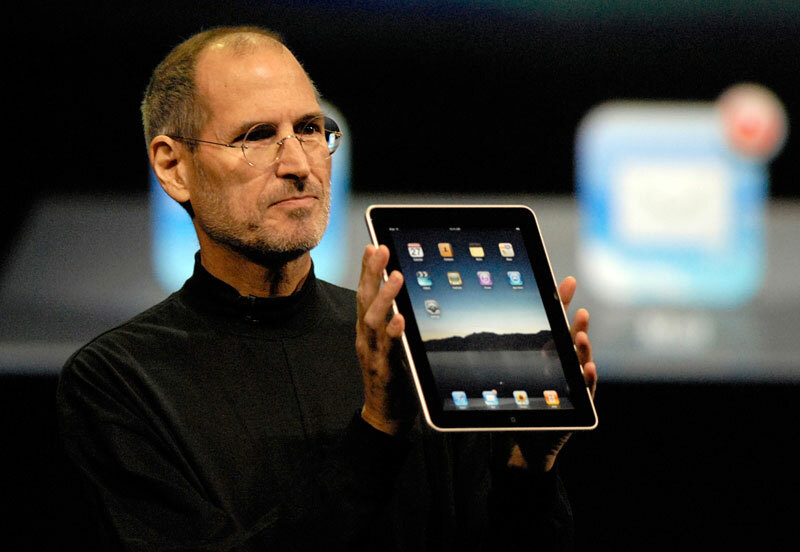 But this year with Apple CEO Steve Jobs back on medical leave that didn’t seem fitting. Instead I tracked down some of the industry’s biggest luminaries including Facebook founder Mark Zuckerberg, Foursquare founder Dennis Crowley, LinkedIn founder/Greylock partner Reid Hoffman, DreamWorks founder Jeffrey Katzenberg and Kleiner Perkin’s John Doerr to do the acceptance speech for Apple. I asked why they thought the iPad was more than just a cool device. In case you missed the show, the video is below.